I’m not sure a cabin is ever truly finished, but this is as good a time as any to say it is. It’s also a convenient time, because I recently had a photographer for Sustain Alaska Magazine come and take pictures for an upcoming article of theirs. The photographer, Dan Meinhardt of Meinhardt Archival Photography, was also kind enough to lend me his photos for my blog. I still have a long list of things I want to do, but I’m finally to the point where I don’t feel “I have to” do them – at least for now. Still on my wish list are a room divider between the desk and entry area, a built-in storage bench for the entry, routered out rafters for the door locking bars, an upgraded bathroom with a composting toilet and a real shower stall, foundation skirting for some secure under cabin storage, and last but not least, a shipping container barn (more on this at a later date). Here are the pictures, I’ll let them speak for themselves. Great photos and a fantastic, inspirational project to follow. This has to be the very best container conversion I have ever seen an individual do themselves. The only suggestion I would have is to make the wall behind and beside the stove from heavy masonry for thermal mass. Once it is heated up by the stove, it will radiate heat for hours in the nighttime. Thanks Michael, I appreciate the comments. It’s been a long time coming and I’m looking forward to just relaxing for a while. Your suggestion for the masonry wall is a good one, and it’s one I’ve given some thought to before. I’ve got thousands of field stones around my property and could make a nice stone surround with them. I guess I’ve got one more thing to add to my wish list now. If you add ( I think the mineral is manganese) to the masonry it will release the heat slower through the night and you should still feel the heat in the morning instead of the masonry loosing all heat before daylight. Super job! I have enjoyed reading your progress from early on and am so glad to see it basically done. I am building a place and cannot wait to get to a point where I feel like it is ready to just enjoy! It’s a great feeling when you get there. Hope everything goes well for you. Likewise – I’ve been following your build for a long time and am extremely impressed with the results. It must be incredibly satisfying to visit the cabin and enjoy the fruits of your labour. I shall continue to drop in from time to time to see if there have been any updates. I am only just beginning my own shipping container home journey!! I just got back from the cabin this weekend and it was glorious. The stress level is so much less when there isn’t a list of building projects to work on. I still did some work around the place, such as splitting some wood, moving a brush pile, etc., but those kinds of things are actually enjoyable to me. Your design looks beautiful, and is definitely a much more ambitious project than mine. Best of luck with your build – I look forward to seeing it finished. I have so enjoyed your journey and wanted to thank you for allowing us to tag along. Fantastic photos and details so we too can do this project. I have 20 acres way back in the woods in northern Idaho that will someday have a cabin very similar to yours. I only hope I do as good a job as you have done. Thanks again for documenting everything! You’re welcome, I’m glad I could be of help. Please send some pics of your land and cabin when you get started – Idaho is one of those places on my bucket list. Steve, you should be proud of yourself for a job well done. I have to say that I AM somewhat disappointed that this project is coming to a close. It’s quite difficult to find container housing on the internet with a more traditional feel or without a million dollar budget. 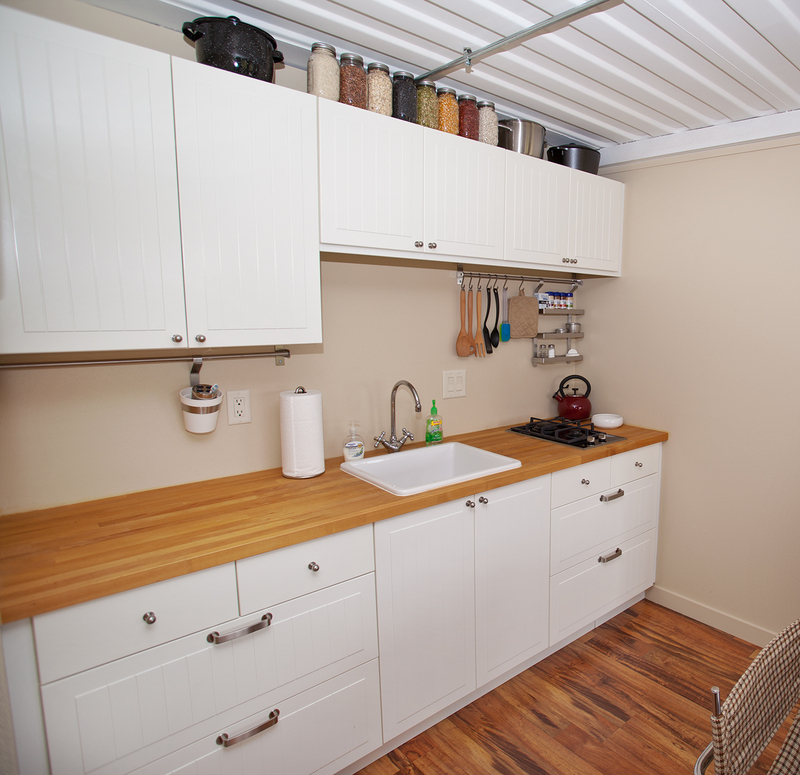 A couple questions I’d like to ask is, after learning what you have about containers, would you have any hesitations about living in a container home as your primary residence, with all the modern conveniences, of course? And, are there any major pitfalls that you could see in doing so… besides planning and zoning and such? Thanks Andy, and don’t be too disappointed as I still have a container project or two up my sleeve. I’ll probably be tackling one or more of these starting next spring, but I still have a few more posts to make in the meantime relating to my build and container construction in general. I seriously doubt I would ever want a container home as my primary residence. The only way I would consider it is if I had the same kind of security concerns I have at my cabin property. 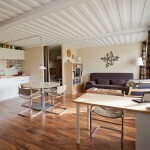 Shipping container homes are even more difficult to build, expensive, and out of place than a shipping container cabin. I just don’t see many upsides unless you REALLY want that look. 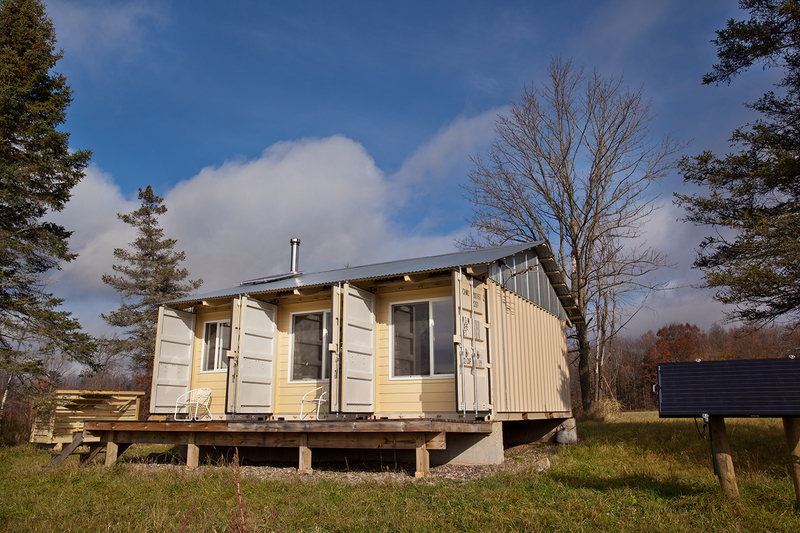 I see lots of pitfalls to a container home, not the least of which would be my neighbors running me out of town with torches and pitchforks – there are just certain paces where a container home would not be welcome. The biggest pitfall though, in my opinion, is the cost. 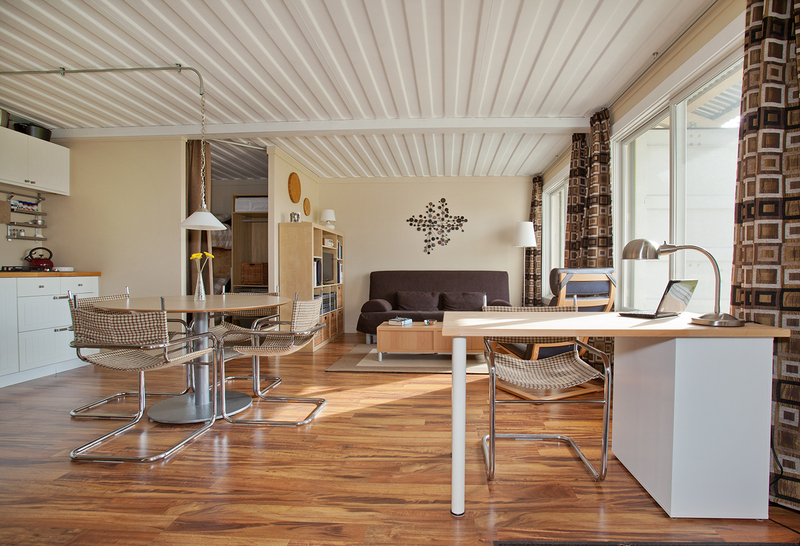 Shipping container home costs are so much more than conventional construction that it’s rarely worth it. I’ve been working on an article for the past few weeks that adds everything up and compares it to conventional construction. I figure it’ll be another month or so before I get it finished. Keep an eye out for it. I’m kind of surprised at your response. I guess it depends on motivating factors for why one would consider a container home. Frankly, I’m tired of HOAs, nosey neighbors, and the 30 year mortgages. My family has a nice sized plot of rural land and was looking at a combination of at least eight 40′ and 53′ Grade ‘A’ Used high cube containers yielding roughly 2200+ sq ft of heated space. Short of the foundation and some electrical, I can do 90-95% of the work myself. My biggest issue is time. Conventional framing and drying in would take me forever which is where the appeal of a container home comes in. They are instantly dried in and provide security and storage for building supplies. I am within a few hours of several ports and a number of hubs to visually inspect and choose my containers. Buying used containers saves a substantial amount as you know but besides the costs of the containers, I don’t really see where there’s much more expense than conventional brick construction. After that, it seems the main costs are determined by the finishing materials you choose. I guess I’m looking at the positives of being dried in quickly and the modular aspect of container homes and the savings in labor and the ability to work on my time versus a subcontractors schedule. I hope you will shed some light on the possible negatives before we make the jump. 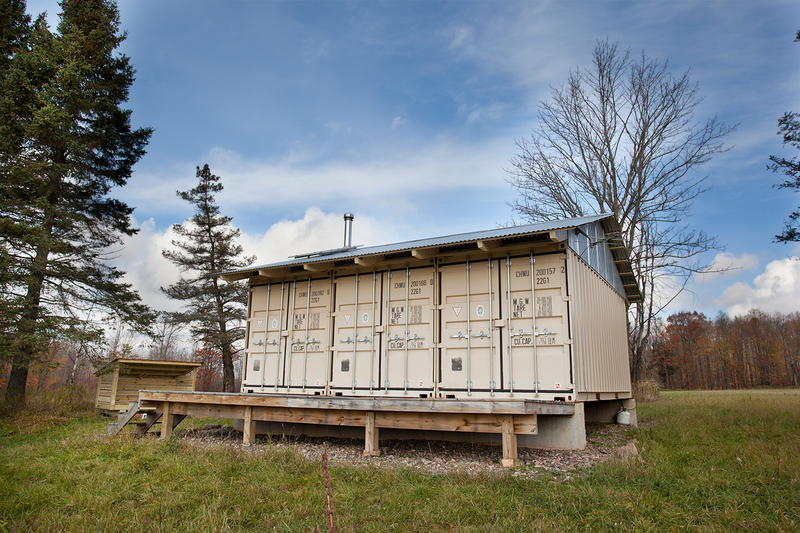 On the surface, shipping container construction seems like it should be easy, but it’s not. Having done both, I’d much rather build a conventional structure, both from the standpoint of time and cost. The ONLY reason I built with containers was for security. In regards to being “dried in”, only single container structures can truly be instantly dried in. 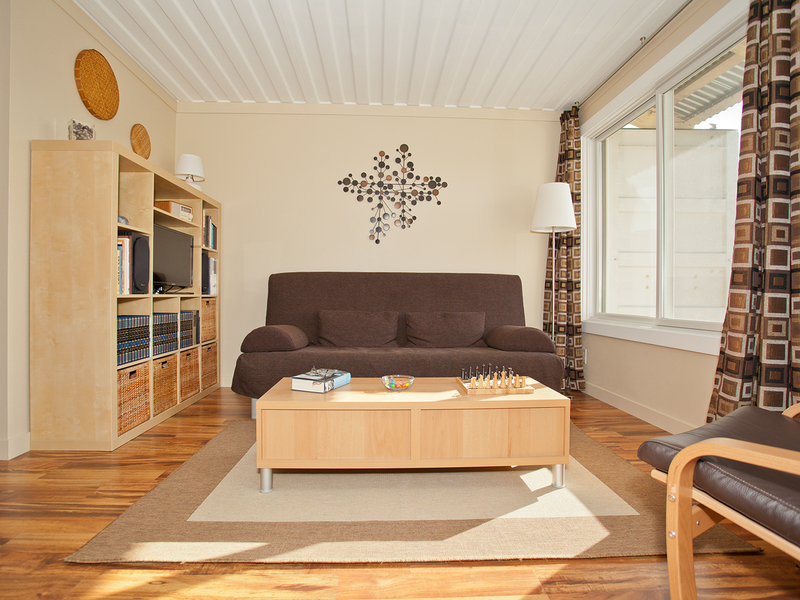 When you combine containers and remove the interior walls, rain will drain into the interior from the container roofs. So, you would still need to add a separate roof over, or weld steel strips and waterproof the gaps of the combined containers before removing any interior walls. I’m not going to spoil my next post by getting into the details of light-frame vs. shipping container construction costs, but suffice it to say that for my situation at least, frame construction would have been much cheaper. 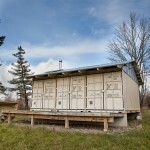 Although, if I ever were to build a traditional frame cabin again somewhere, I would probably still have a shipping container on site for the secure storage of tools and building materials. If you need more information than this, please feel free to contact me directly through the contact page of this blog. What a terrific site! So glad I found it. Sorry if this question was already asked, but would you mind sharing how much building this home cost from start to finish? 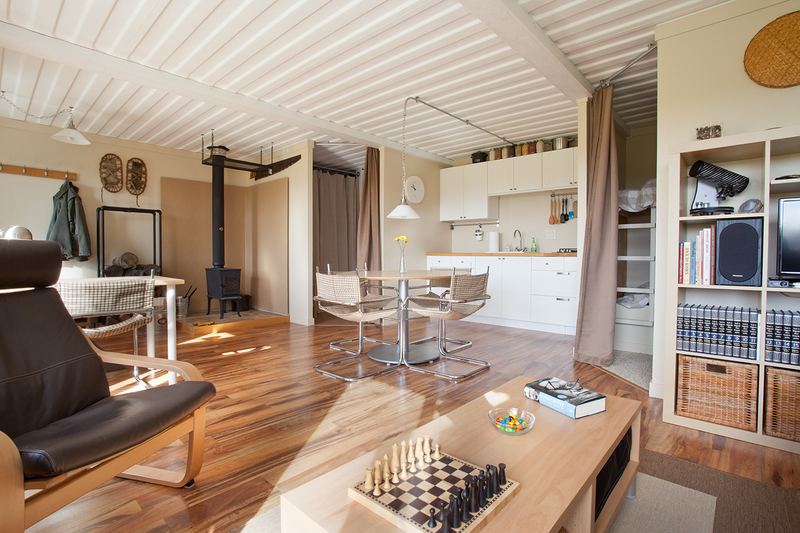 Also, what would be the difference between a container home and container cabin? I figure it has cost me about $36,000 ($75/sq ft), fully furnished. The difference between a home and a cabin, in my opinion at least, mostly comes down to size and conveniences. For example, for a family of four, I would want my home to be >1,500 sq ft, whereas a weekend cabin of <500 sq ft is perfectly fine. In regards to conveniences, I do like having a flush toilet at home, whereas a composting toilet or even an outhouse is fine for the cabin. I'll be honest though, at 5 degrees F this past weekend the outhouse was not as pleasant as it usually is. What a beautiful job. I have enjoyed watching the building will look forward to your next project! 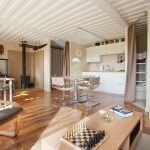 Great work, and IMO your cabin is the best-executed PRACTICAL container home I’ve seen on the web. I use ISOs for dry, protected shop space and like them greatly. I’d be happy to live in a home like you constructed. Not on mine nor many others. DON’T CUT THE WALLS BEFORE YOU SEAL THE ROOF! That’s pretty basic, and you should weld the splice plates for the roofs before inducing any sag by cutting wall panels. Your modules are “instantly dried in” after which you can cut out wall sections at leisure from the inside. Proper face shield and ear protection required either way, and a respirator is wise. I just ordered the 2″ wide x 1/8″ thick flat steel to join my two 40-foot High Cubes and will knock that bit out this weekend. All one need do is knock the paint off with a wire brush in my angle grinder then run a full bead down both edges with a MIG welder. You can rent those if you choose not to buy one but they are insanely handy to own. (I have power to one ISO so I leave my welder inside and run the hot lead to a suitcase feeder while grounding to the ISO container inside. ) A 6 (not smaller) inch angle grinder with cutting disks (buy ’em by the box) and a Sawzall will make short work of interior walls. Hang out on some welding forums and tap the minds of folks who mod ISOs for a living. There are some decent Youtube vids showing how to cut and frame ISO container structures. ISO containers are deployed globally by business and military operators. Copy how they do what they do, adjusted for DIY resources, then furnish to taste. ISOs are tough, far more storm-resistant then conventional construction, and bugs don’t eat ’em. BTW they vanish if you camouflage them. I woodland camo’ed mine to blend with the trees behind my home and they don’t clash with the landscape at all. The key word here is “instantly”. For the vast majority of builders who are not welders, and don’t have any welding equipment, they would need to arrange for a welder to come and “seal” the container gaps. They would then have to remove the walls using a plasma cutter, torch, saw, whatever, which takes additional time. The point I was making is that whatever kind of structure you are trying to build, it won’t be “instantly” dried in. In the case of a 24′ x 20′ cabin such as mine, I could have a dried in conventionally framed shell erected in just a few days with a half dozen friends/workers. In regards to a camo paint job on my containers, my neighbors already think what I built is a little odd, so I don’t think I’d want it to be any more so. In some ways though my cabin does fit in as it’s similar in appearance to the metal pole buildings that are prevalent on the farms around here. The vast majority of builders should leave ISOs to those who are suited by “will or skill” to using them. The vast majority of people don’t need to live in an ISO structure either. That’s fine and good. Your build is outstanding and you paid accordingly, but you get tremendous storm resistance and durability compared to stick-built junk. If I hang out through another hurricane I’ll be in my container shop. Hugo destroyed and damaged many recent construction stickbuilt homes in my area. Mere wood does not impress me. Folks used to metalworking can do ISO structures at great advantage, for welding is no more difficult at that level than woodworking (and it’s much easier to correct weld mistakes, just grind and reweld!). I also live in a rural community. My neighbors didn’t notice I had containers (camo + trees) until they visited. One is a welder and the other a contractor so they enjoyed my setup. Of course one may paint them any color. Base and trim colors can greatly change the image any structure projects. BTW, what do local codes require of an outhouse? You could cut a hole in the bottom of a used ISO to technically qualify for “outhouse” status and insulate it as you did your home. Plenty of room for a wood heater and the wood to feed it. When you get a septic system, patch the hole and move the ISO to be used as an outbuilding. Anyway, bravo for a fine design! It’s not artsy, a common effect of architects playing with ISOs, and it has a well thought-out interior. You are correct that most builders should avoid container construction. An upcoming post of mine will be discussing this exact topic in much greater detail. I also see how you might want one being in hurricane country, but I’m guessing for most of my readers this is not a concern. I only have a small risk from tornadoes where I am, but I’m not sure I would trust my cabin to protect me from a big one – I’ll take an underground shelter for one of those any day. While I hired out all of my welding, I don’t think it would have been that difficult or time consuming for me – I just didn’t want to learn how to do it on MY cabin. My greatest frustrations and time wasters were not the welding and metalworking, but trying to fit conventional finishing materials into a non-conventional structure. Building a container workshop, garage, or barn should be a piece of cake compared to what I did – at least I hope it is since I’ll be building something similar to those next summer. As for an outhouse, you wouldn’t necessarily have to cut a hole in the floor that leads to a pit. Many outhouses nowadays have self contained composting toilets in them. Still, I doubt the local authorities, if there were any, would approve of someone living in their “outhouse”. Very well done! I have long wondered if this type of construction would suit for a ski cabin in the Alps beside where I live. My plan would be to buy the containers on the coast, fill ’em with all the construction materials needed and send them off to the mountains!! The way I see it; it all has to get there one way or another so you’re killing two birds etc. I s’pose it’ll come down to what does it cost vs normal construction, so I’m looking forward to your breakdown of costs. Building costs in the south of France are eye wateringly high, (you’d find it difficult to believe on the other side of the pond) so I’d be amazed if it didn’t make economic sense here. Shipping container construction will work anywhere in the world, as long as you have the money to pour into it. And, if India can build its Bharathi Antarctic research station with them, I don’t see why they won’t work in the Alps. For a heavy snow area like the Alps, you might want to take a look at my four container design with a high pitched roof. I’d be interested to know what the cost of building materials are in your country. In Wisconsin, for example, I can get a 2″x4″x8′ stud for $2.49 and a 7/16″x4’x8′ panel of OSB for $8.95. At those prices it’s hard for anything else to compete. Well, put it this way; we just completed a garden deck about a month ago, it’s 40 meters sq… just the wood came in at 4800 euros, that’s 6600 dollars. It does put the brakes on, when considering building anything. The reason I think shipping containers may be a viable alternative is that the labour is more expensive again; contractors have very high overheads, tax, social security, insurance which all gets passed on the the house builder. Now, a couple of guys with welding equipment…hmmm. To put your prices into perspective, the lumber (pressure treated) for a basic 16’x28′ deck (~42 sq m) would cost me about $1,300. It was a slightly fancy wood called Cumaru/Brasillian teak. Here you are: http://www.ciffreobona.fr http://www.pointp.fr http://www.bricorama.fr You can have hours of fun putting together pretend quotes and congratulating yourself on building in the US. I lived in the midwest for a few years and actually went to Wisconsin several times, lovely state. I saw your shower on another web site and was interested in that and grey water removal, while I’m not interested in this type of cabin I’ve gone through most of your blog and it’s incredible, really impressive. I’ve giving a lot of thought regarding security and was wondering why you consider this type of build more secure then a conventionally built cabin? To me it doesn’t seem it would be much harder to get in if someone wanted to. The security for a container cabin like mine is all about the steel doors and lack of windows when it’s all closed up. My previous cabin was broken into so many times I lost count. All someone had to do to break in was to kick in the door – it isn’t that hard to do. I guess I should be thankful they just kicked in the door since the windows would have cost more to fix if they would have broken those. Most shipping containers nowadays have an integral steel lock box that surrounds the padlock assembly. This makes it near impossible to saw or cut the padlock off the container. The “easiest” way to get the lock off would be with a cutting torch. And while cutting torches are pretty common on the farms in my area, those aren’t the type of people I’m worried about getting into my cabin. The problem I had before was teenagers looking for a place to drink and fool around. Someone would have to REALLY want to get into my cabin to go through all that trouble. Since I don’t keep any guns, booze, money, or power tools up there when I’m not around, they’d probably be a bit disappointed by what they find. In regards to the notifications, I don’t have a way to do that right now. I used to allow subscribers, but the spammers were causing so much trouble that I had to close it off. Thank you for sharing your experience and pictures with us! My goal is to build a container cabin and make it my primary residence. 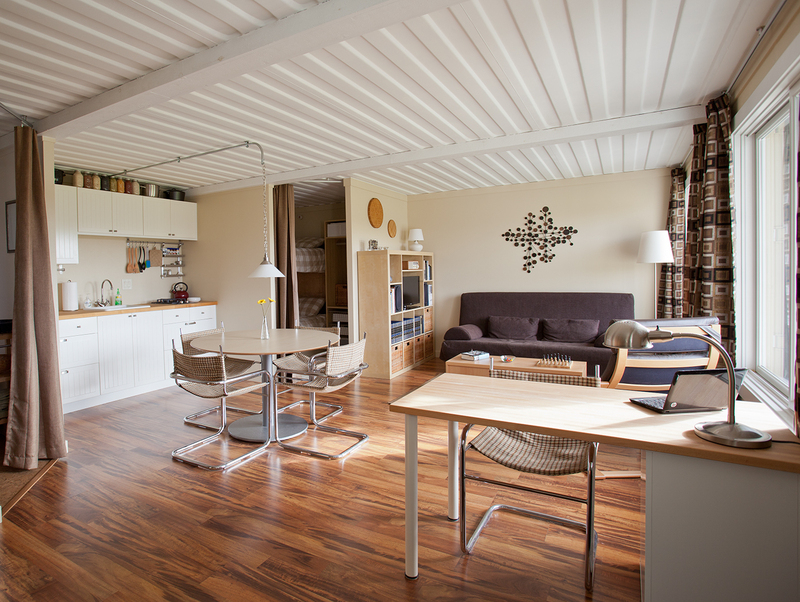 Any information related to container homes is of great value to me. Thanks again and may you continue to enjoy the fruits of your impressive labor! You are welcome, I’m glad I could be of help. Best of luck with your home building. Fantastic job posting your progress and observations as you built your little paradise! I used a lot of your posts as well as others around the web to plan the conversion I’m in the middle of. My son is working at a ski resort and used our trailer through the summer. We are now 75% done a container conversion for him to live in up there. We’re using a 45′ high cube. The build does end up very “linear” but so far has been a really fun project. Your suggestion of using sketchup was great. I’ve used it extensively to draw out all aspects of the project. I didn’t notice any side or back windows in your build. I assume that was just for the sake of security? We are building in a bedroom and kitchen window for light as well as an emergency exit from the bedroom. I’ve really been going in circles as to the best way to install and seal the windows. In your research or travels have you any ideas or suggestions? At this stage the plan is to use 3/4″ plywood with tin flashing to seal the congregated edges of the container around the window cutout, then use 2×6 inset in the rough window frame to screw the window nailing fin to. This will inset the window by a bit and allow me to add a trim over the nailing fin so hopefully look OK. I am using wood studs and framing on this project. Once again, thanks for all your hard work posting your progress and good luck on your next venture! My lack of side and back windows is strictly for security. I originally thought about putting a porthole type window in the back, but with the large south facing windows I have it’s never felt dark. I would definitely not use plywood to frame the window hole in the container. The best container window frames I have seen were made with square steel tubing. First, create a frame the correct size for your window by welding the square tubing together – in this case it’s probably best to use a replacement type window that doesn’t have an exterior flange. It’s also important that the square tubing you use is wider than the corrugations in the container. Next, you need to cut an opening in the container the exact size of the frame and then weld the frame into place. Finally, you will also have to duplicate the opening in your internal framing to match the new container opening. If you Google “shipping container window frame” images you will see several good examples of this. Thanks, I’ll look for that. Discovered your blog tonight, via a link from Tiny House Talk. 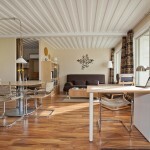 I just wanted to commend you on a beautiful job transforming shipping containers into an attractive, functional cabin. Yours is about the only Do-It-Yourself container conversion I’ve seen which is aesthetically pleasing, and something I’d consider pleasant to live in. Because of container and transport costs, my own skill level, and an extremely remote building site, the cabin I’m envisioning for myself will have to be of conventional, stick-built construction. Your blog has helped me see the challenges involved with container modifications, and to realize that’s not a road I want to go down. But your own accomplishment in this area is most impressive, and I have only praise for your finished (or nearly finished) product. Great job — achieved with the eye of an artist! Thanks Patrick, I appreciate your comments. I think you’re making a wise choice to build conventional. 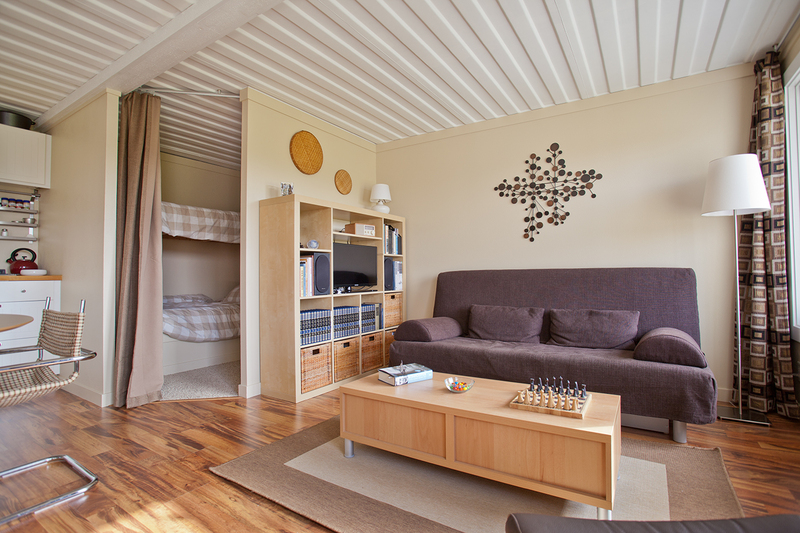 Shipping container cabins are not for everyone, and you should have a really good reason before you build one. You’ll probably end up with a bigger, better, and less costly cabin afterwards. Good luck with your build. Your cabin is amazing! I live in a tiny house barn 🙂 and I was considering buying a container for an addition to my barn…. You just saved me a ton of money on my car insurance! Thanks so much! If you ever needed another bedroom, or to make the bathroom larger, you could just move the kitchen to the middle of the room, let the table do double duty as the desk, and expand the bathroom and existing bedroom, maybe even squeeze another one in! I found your blog while researching insulating container homes as I have some land down on the Texas coast and am just getting started on a my container home research. I really appreciate you documenting your project and have to say that I am extremely impressed with your work and your house is absolutely beautiful. Thank you very much for sharing! I saw some pictures of the outside on Facebook, and thought “That looks pretty good”, but seeing the work you’ve done on the inside takes it to a whole new level. I love the way it’s something you can lock up securely and leave. That’s a huge bonus for a lot of people. Have you ever had condensation problems which usually happen during the change in seasons ?? I find at this time of year I can open up my container which is not insulated and have some condensation. Is this one of the reasons for spray foam instead of regular insulation bats ? 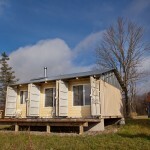 I have not seen any condensation issues since my cabin has been finished and fully insulated/sealed. An uninsulated, or even an improperly insulated, container will allow condensation to form on the inside of the metal walls. Closed cell spray foam insulation is the only method I am aware of that will create a continuous and seamless insulated vapor barrier. OH I LOVE IT! The interiors are stunning. I love the bunk beds! Now I want to add a small area for a couple bunks at my place. Awesome job, great use of space and colors – it’s wonderful. good article. however you fail to mention any costs. 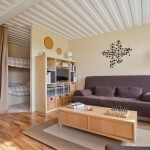 I.ve read many articles regarding container homes and I’m interested to try doing my own. However, everyone seems to skip around this issue or simply leaves it out. I would be very interested to have an idea of the costing of these container projects. I love that you’ve blogged your progress and have broken it down! Congratulations on a beautiful build! So, Im interested in knowing about the container doors. Being one who thinks of all that could go wrong, have you left the container doors closing from the outside, or how does that work? My worries would be that you could potentially be locked in your container!!!!! I find this fascinating. Your blog is very informative and easy to understand. In Texas, our weather issue is heat. I wondered about insulating from the outside with berms of earth. Perhaps a little hobbity, but the neighbors might be better pleased. 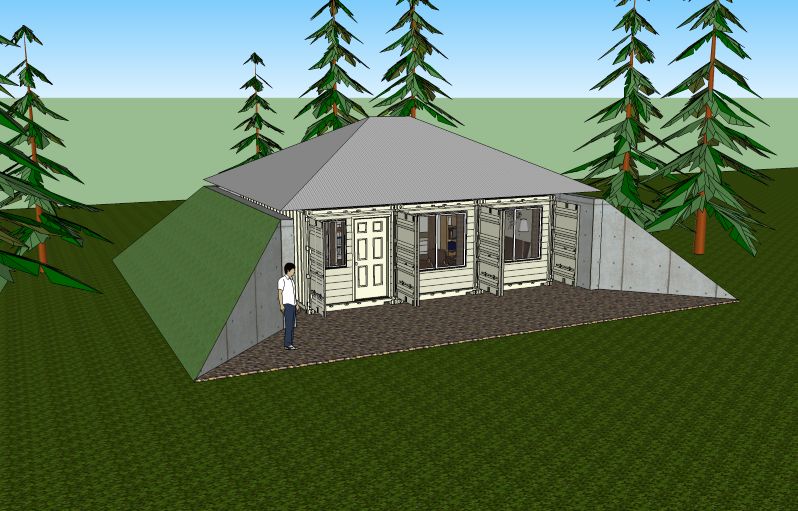 Shipping container walls are not designed for the lateral forces associated with burying or berming. If you were to go down this route, the container walls would need to be appropriately reinforced. Please consult an engineer before attempting this. Another way to accomplish this would be to build retaining walls 2-3 feet away from the containers. This would keep the container walls shaded and cooler than otherwise, but wouldn’t require reinforcing the container walls. 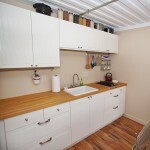 It would also create a covered and shaded storage area around the containers if desired. Nice job and appreciate the you being so candid about your experience in putting a project like this together. I do have two questions for you. 1. What is up with a bathroom in that there are no pictures of this important feature? 2. Is the wood burning stove sufficient enough to keep the entire container warm for a northern climate (including bedroom)? For some reason the photographer for Sustain Alaska did not take any pictures of my bathroom. To be fair, my bathroom is still a bit spartan. For example, I have an outhouse that has been the primary “toilet” for the cabin. I did recently acquire a composting toilet though that should be installed in the next few weeks, which will hopefully make my wife more comfortable to visit. If you want to see some bathroom pics, I do have an earlier post that shows it. My Jotul 602 stove easily keeps the cabin warm, even when it’s -10F outside – the coldest trip I have made so far. I have no doubt it would work in even colder weather, but with the 602’s small box and short burn time I’d have to stoke it fairly often. My biggest problem with the stove though is not in keeping the cabin warm, it’s getting the cold cabin up to a comfortable temperature when I first arrive. I still believe it’s best to not get too large a stove that will then be run at a lower temperature and possibly generate creosote as a result. I want to thank you for sharing your magnificent project. I have dreamt of building something like that myself. Now, thanks to you, I can visualize it better. Great job, beautiful place! Can you tell me the measurements of the containers alone? The containers were standard 20 footers – 20’x8’x8′. I wonder if shipping containers are stable enough to cconsider thermal mass rocket heaters for heating? Perhaps, instead of a heated bench, with a flue running all along the container length on the back(est) side? Hello and congratulations on a beautiful finish! I may have missed it, but did you weld together 3 containers , all 20 x 8 x 8 ? the photos seem not as deep as 20 feet . Yes, it is three 20x8x8 containers welded together. The interior depth of the cabin is diminished more than the width and works out to be about 18′ 2″. This is due to the container doors, providing extra space for items such as the screen door knob, and the 2×4 wall structure for the main windows and doors. For comparison, the interior width is 23′ 1″ – a loss of only 11″.